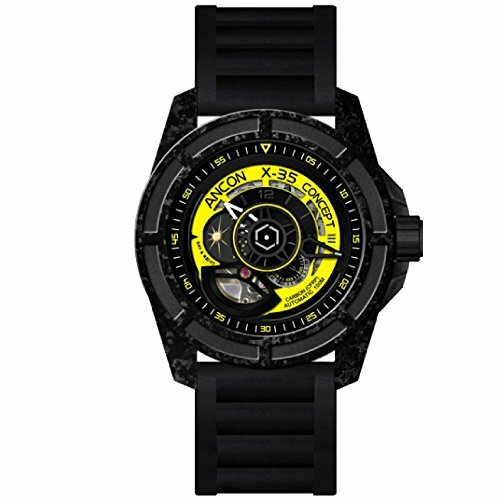 Carbon fiber watches are designed to withstand physical abuse and display increased resistance against corrosion, heat, and elements that usually cause damage to gadgets. 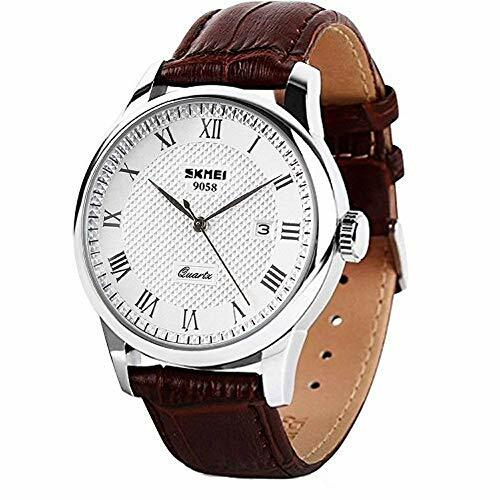 This kind of watch not only fits an active lifestyle but also sport a unique look that can be worn on any occasion or kind of fashion. All these advantages make carbon fiber watches highly attractive to collectors and casual wearers alike. 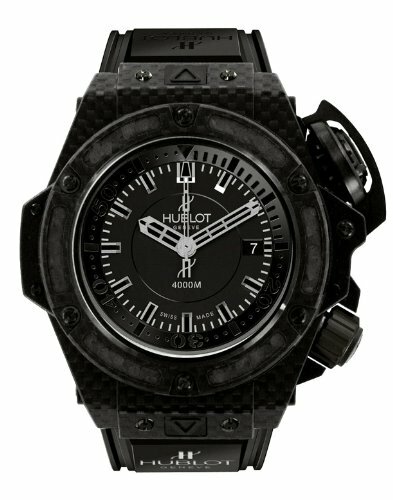 The 48mm Big Bang King has a case and bezel made of ceramic, a sapphire crystal, a rubber strap, and a carbon fiber dial. 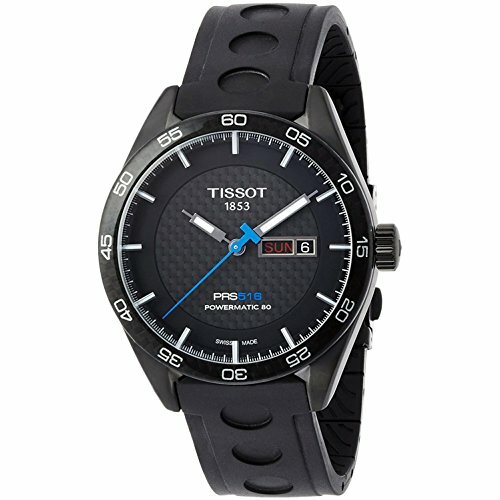 The carbon fiber watch features a date window, luminescent hands and markers, and a caliber HUB1400 movement. 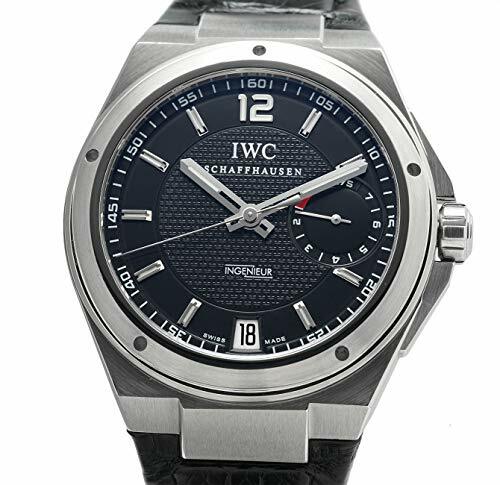 The 46mm Ingenieur LW322404 is a luxury carbon fiber watch with a carbon fiber case and dial. It has a sapphire crystal, a rubber band mixed with nylon, a date display, an exhibition case back, a date window, luminescent hands and markers, and a 28-jewel caliber 80110 automatic movements. The 43mm RM 35-01 Rafael Nadal has a carbon fiber case and bezel, a titanium baseplate, stainless steel screws, a solid case back, a skeleton dial, luminescent hands, and a calibre RMUL3 manual-winding movement. 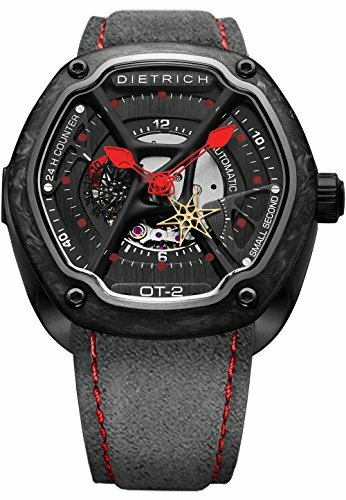 These are luxury timepieces that combine the best materials possible to give them a distinctive look worthy of the tag price they have. Not all can afford them, though, so we’ve made a list of the best carbon fiber watches for those on a budget and those who can afford to shell out around a thousand bucks a piece. Here’s a list of the 30 best carbon fiber watches in the market. The 48mm carbon fiber watch from SKMEI has a metal case, a black carbon fiber dial, a leather strap, a mineral crystal, a date window, luminescent hands, and an analog quartz movement. The 44mm Pro Diver 12860 has a stainless steel case, band, and bezel, a flame fusion crystal, a carbon fiber dial, a magnified date window, two chronograph subdials, a day subdial, luminescent hands and markers, and a Swiss quartz movement. The 45mm Pro Diver 17257SYB has a stainless steel case, bezel, and band, a carbon fiber dial, a synthetic sapphire crystal, a date window, three chronograph subdials, crown pushers, luminescent hands and markers, and a Japanese quartz movement. The 47mm Guess U1046G1 has a stainless steel case, bezel, and band, a mineral crystal, a carbon dial, luminescent hands and markers, a date window, three chronograph subdials, and a quartz movement. Its strap has carbon fiber in the middle of the stainless steel material. 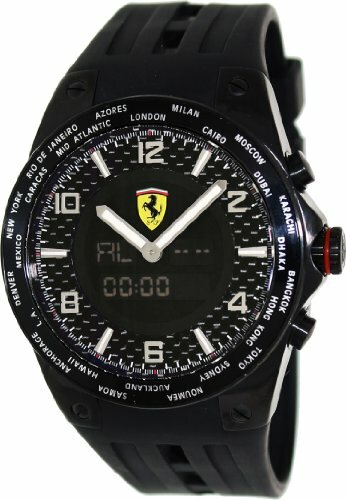 The 45mm Ferrari FE-05-IPB-FC is a carbon fiber watch with both digital and analog displays. 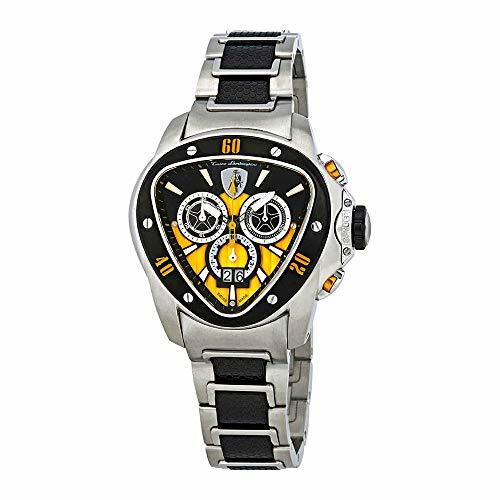 It has a stainless steel case coated with PVD, a rubber strap, a mineral crystal, a bezel with 24 time zones, luminescent hands and markers, and a quartz movement. 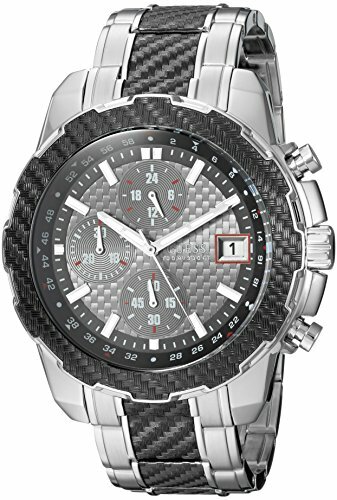 The digital display features an alarm, a day-date function, a 1/100 second chronograph, a timer, and a 24-hour function. 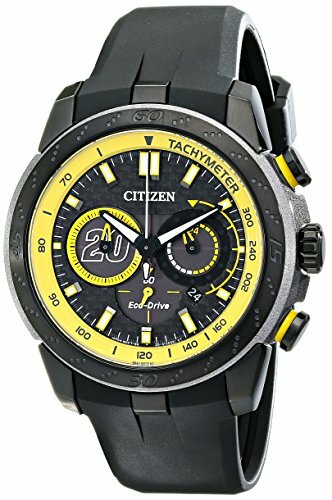 The 46mm Matt Kenseth Ecosphere is a solar-powered watch with a stainless steel case and bezel, a polyurethane band, an anti-reflective sapphire crystal, a yellow-colored tachymeter on the outer rim of the carbon fiber dial, a date window, three chronograph subdials, luminescent hands and markers, and a Japanese quartz movement. 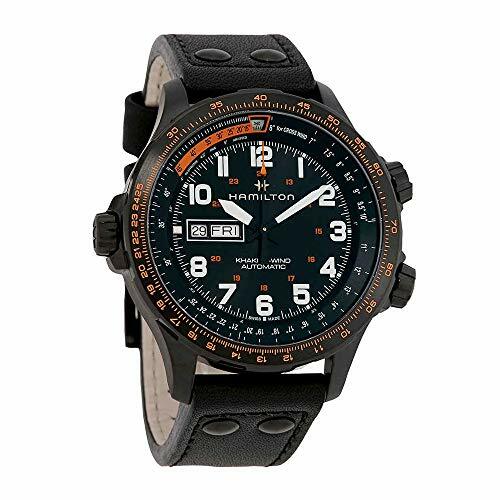 The 43mm JetMaster Black MK8455 has a carbon fiber case, band, and bezel, a mineral crystal, four chronograph subdials, luminescent hands and markers, and an analog quartz movement. The 44mm Ace Chrono has a stainless steel bezel and case, a carbon fiber dial, a tachymeter bezel, a calfskin leather strap, a sapphire crystal, luminescent hands and markers, a date window, three chronograph subdials, and a quartz movement. The 45mm Concept III Carbon has a carbon fiber case and bezel, a flat sapphire crystal, a rubber strap, a day-night indicator, luminescent hands covered with Superluminova, and a 21-jewel Miyota 82S7 automatic movement. 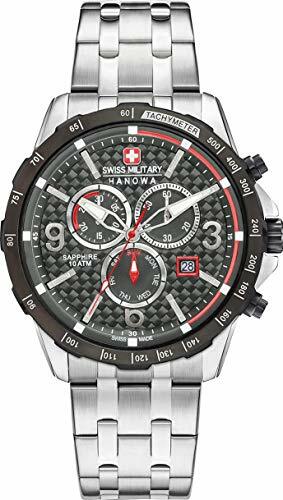 The 46mm Skywatch CCI032-A has a stainless steel case, a synthetic sapphire crystal, a canvas band, a unidirectional carbon fiber bezel, a date window, three chronograph subdials, luminescent hands and markers, and a 13-jewel Swiss-made Ronda 5030.d quartz movement. The 47mm Precisionist 98B142 has a stainless steel case, a rubber strap, a carbon fiber dial, a curved mineral crystal, a date window, a 24-hour track, luminescent hands and markers, a sweeping seconds hand, and a 262 kHz Japanese quartz movement. 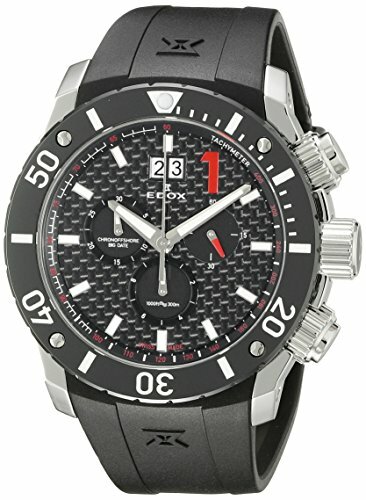 The 44mm Eco-Drive CA0300-50E is a solar-powered, carbon fiber watch with a stainless steel case, a unidirectional rotating bezel, a mineral crystal, three chronograph subdials including a 12/24-hour function, luminescent hands and markers, a date window, and a quartz movement. Its stainless steel bracelet has carbon fiber inserts in the middle. 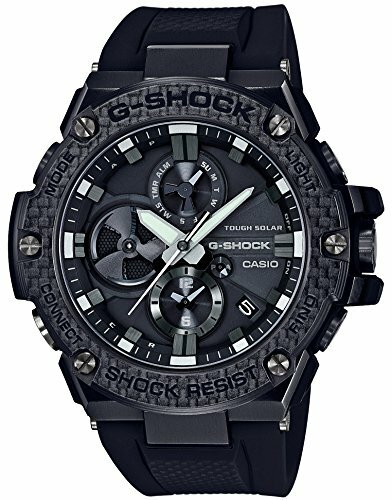 The 54mm G-Shock GST-B100X-1AJF is a solar-powered watch with a carbon fiber bezel, a sapphire crystal, a resin band, a date window, a day subdial, a battery level indicator, luminescent hands and markers, and a chronograph quartz movement. 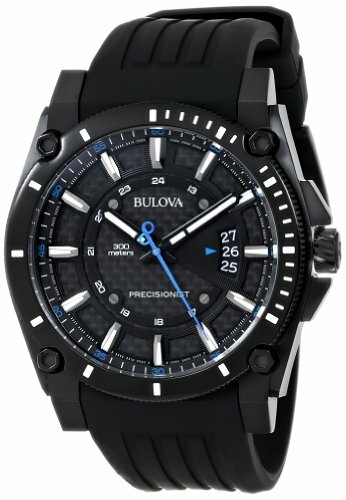 It can be connected to your smartphone for configuring alarms, hand alignments, timers, and accessing the world time function of the watch, making this one of the best multi-functional carbon fiber watches in the market. The 47.5mm Peake Chronograph has a carbon fiber dial, a stainless steel case, a tachymeter ring, a pigskin leather strap, an anti-reflective sapphire crystal, luminescent hands and markers, a date window, three chronograph subdials, and a Swiss Ronda 5030.D movement. The 42mm PRS516 Powermatic 80 has a carbon fiber dial and bezel, a stainless steel case coated with PVD, a sapphire crystal, a rubber strap, an exhibition case back, luminescent hands and markers, day and date windows, and a Swiss automatic movement. 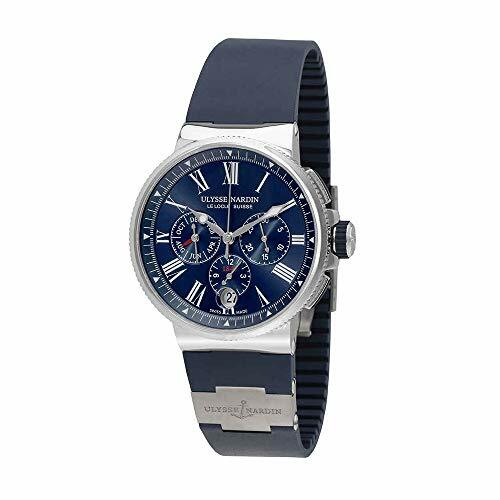 The 45mm Atacama Field Chronograph has a stainless steel case, a carbon fiber dial, a leather strap, an anti-reflective sapphire crystal, three chronograph subdials, a date window, luminous hands and markers, crown pushers, and a quartz movement. 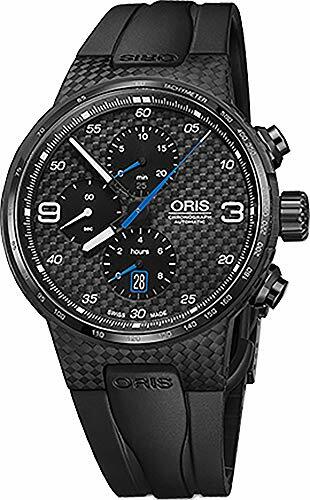 The 43mm INOX is a carbon fiber watch with a titanium case and bezel, a sapphire crystal, a carbon fiber dial, a nylon paracord strap, a date window, luminescent hands and markers, and a Swiss quartz movement. The 49mm OT-2 has a case, bezel, and frame made of 316L stainless steel. 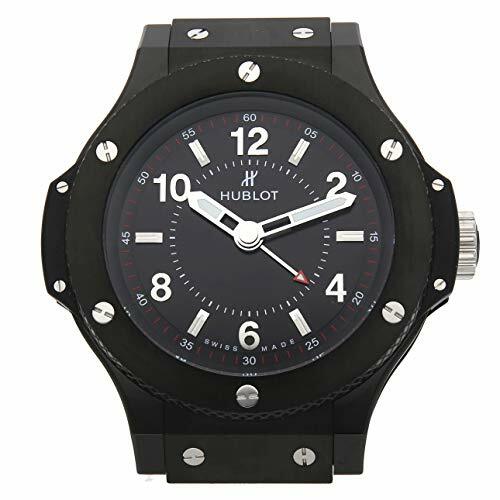 The bezel is coated with black PVD and it holds the custom-shaped sapphire crystal in place. 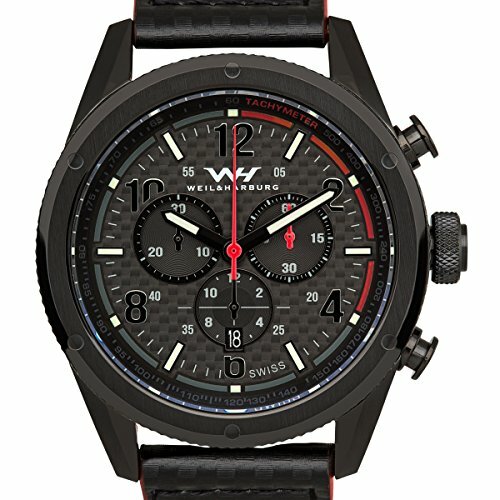 The carbon fiber watch also has a nylon strap, a 24-hour indicator, luminescent hands laced with red Superluminova, and a Miyota 82-S-7 automatic movement. The 44mm X-Wind has a sapphire crystal, a leather strap, a black carbon fiber dial with day and date displays, a tachymeter rim, an exhibition case back, three chronograph subdials, luminescent hands and markers, and a Swiss self-winding automatic movement. The 46mm Respire has a stainless steel case with a carbon fiber dial. 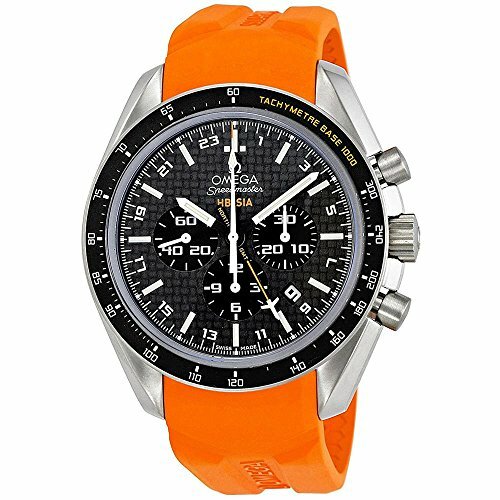 It also features a tachymeter scale on the outer rim of the dial, a synthetic sapphire crystal, a two-window date function, a day window, three chronograph subdials, a rubber strap, luminescent hands and markers, and a Swiss quartz movement. The 42mm St. Gallen Disinfectable has a stainless steel case coated with black PVD, a carbon fiber dial, a sapphire crystal, a silicon band, a date window, luminescent hands and markers, and a Swiss automatic movement. This carbon fiber watch has a counter and a unique four-pointed hand for measuring your pulse and respiration. The 43mm Spyder has a stainless steel case, a carbon fiber bezel and dial, a mineral crystal, a stainless steel bracelet with carbon fiber insert in the middle, luminescent hands, a date window, a day indicator, three chronograph subdials, and a calibre RL 8040N quartz movement. 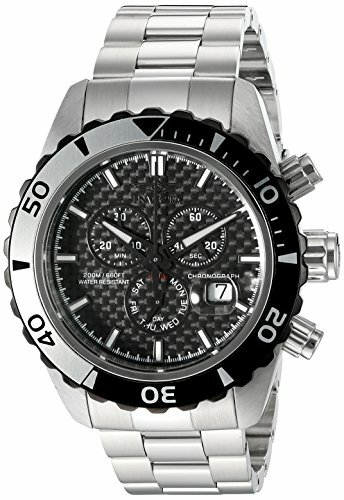 The 45mm Chronoffshore has a stainless steel case, a ceramic bezel, a carbon fiber dial, a Helium escape valve, a synthetic sapphire crystal, a rubber strap, a two-window date indicator, a tachymeter scale on the outer rim of the dial, luminescent hands and markers, three chronograph subdials, and a Swiss quartz movement. The 45mm Velatura has a stainless steel case, an anti-reflective sapphire crystal, a carbon fiber bezel and dial, a stainless steel bracelet with carbon fiber insert, a date window, three chronograph subdials, luminescent hands and markers, and a Japanese automatic movement. This is a limited edition model with only 2,000 pieces made. The 44mm Valtteri Bottas is a carbon fiber watch with a carbon fiber case, a tachymeter bezel, a rubber strap, an anti-reflective sapphire crystal, a carbon fiber dial, a date window, three chronograph subdials, luminescent hands, and a Swiss self-winding automatic movement. 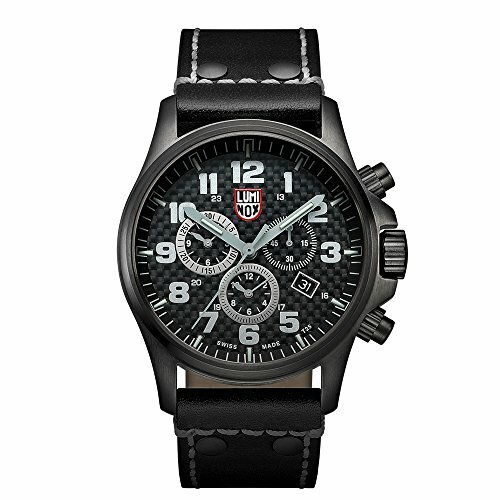 The 46mm Aviation is a square-shaped timepiece with a carbon fiber case, a sapphire crystal, a rubber strap, a screw-down crown, a black dial, luminous hands, and a Swiss automatic movement. The 44mm Speedmaster HB‑SIA Co-axial GMT Chronograph has a titanium case, a carbon fiber dial, a rubber strap, a scratch-resistant, and anti-reflective sapphire crystal, a tachymeter bezel, a date window, three chronograph subdials, a GMT hand, luminescent hands and markers, and a calibre 3603 movement. The 45mm Portuguese LW390212 has a titanium case, a carbon fiber dial with large Arabic numerals, an exhibition case back, a sapphire crystal, a date window, two chronograph subdials, luminescent hands and markers, and a calibre 89361 self-winding movement. The 42.7mm Marine Aqua has a carbon fiber dial, a titanium case, a unidirectional rotating bezel made of stainless steel, an exhibition case back, a sapphire crystal, a rubber strap, luminescent hands and markers, and a Ulysse Nardin Calibre UN-33, automatic, self-winding movement. It has a double window for the date and additional windows for the day, the year, and the month. It also has a perpetual chronometer and a subdial indicating the second’s movement. The 45mm Ferrari Red Magic has a carbon fiber case and bezel, a scratch-resistant sapphire crystal, a leather strap, a Ferrari logo at the 9 o’clock position, a 60-second subdial, a transparent dial, luminescent hands and markers, and a HUB1241 automatic movement. 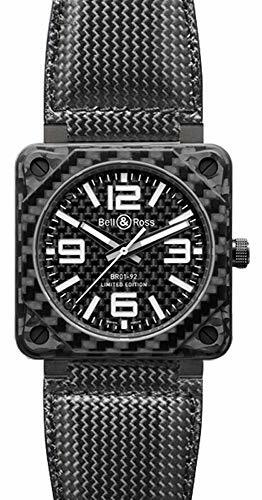 The weaving pattern of carbon fiber helps give watches a sporty look. 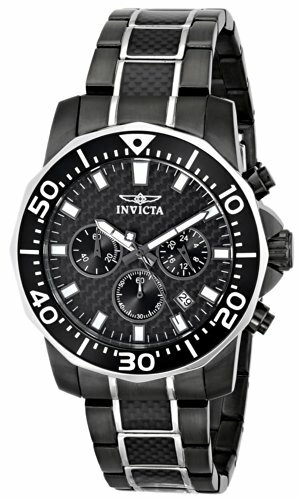 Aside from being lightweight, they’re very durable, making carbon fiber watches the best accessory for sports use. 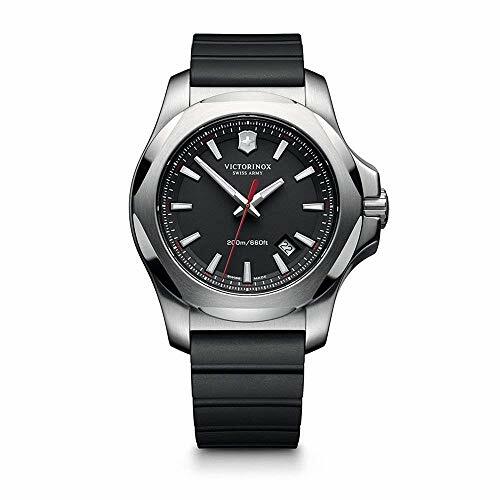 Combine them with titanium or stainless steel and you have a timepiece that’s virtually indestructible from typical physical abuse and stress caused by daily activities and rugged use. We’ve listed the best carbon fiber watches in the market, ranging from the cheapest and mid-range ones to luxury brands and collector’s items. Take a look at them again and you’ll surely have a pick suitable to your preference. Next articlePurchasing Luxury Online Watches Safe?